First responders work at the rear of the First Baptist Church of Sutherland Springs in response to a fatal shooting, Sunday, Nov. 5, 2017, in Sutherland Springs, Texas. Law enforcement sources identified the gunman as Devin Patrick Kelley, seen in the inset DMV photo. 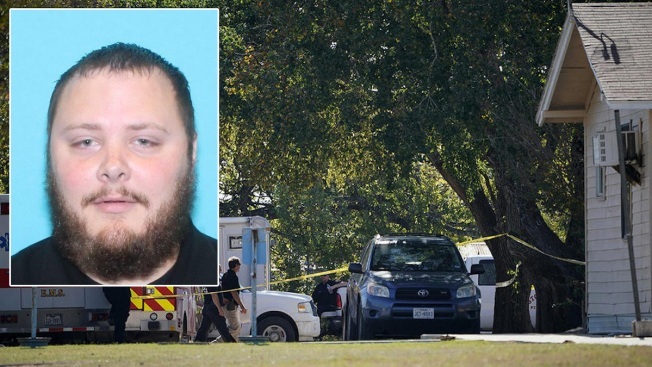 Sheriff's deputies didn't pursue a sexual assault investigation against the gunman in a mass shooting at a Texas church, even though the woman reporting it signed a complaint detailing the alleged attack, according to records released Friday. 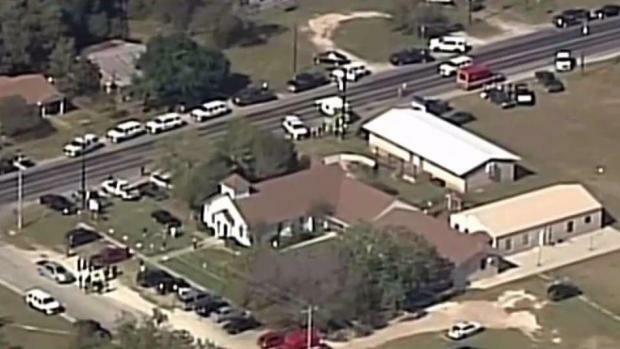 Twenty-six people were killed after a gunman opened fire in a Texas church. Victims ranged from 18 months to 77 years old. A man dressed in all black and wearing a "ballistic vest" fired a Ruger semi-automatic rifle at a church in a small South Texas community on Sunday, killing 26 people and wounding about 20 others in the deadliest mass shooting in the state's history, the governor said. Victims were churchgoers as young as five and as old as 72. 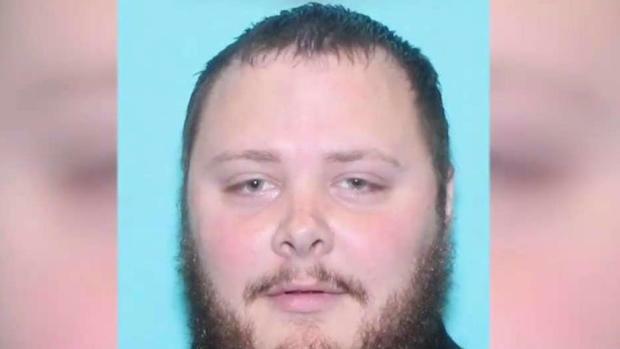 Police say violence followed Devin Patrick Kelley throughout his adult life before he opened fire Sunday at the First Baptist Church of Sutherland Springs, Texas, killing 26 people and wounding 20 others. The Air Force has also said it failed to report Kelley's court-martial -- and the resulting sentence of 12 months' confinement -- to the FBI, which keeps criminal history records in databases used to conduct background checks of gun buyers.